Our Summer Outdoor Movies are starting this coming Friday at 9:00 pm. 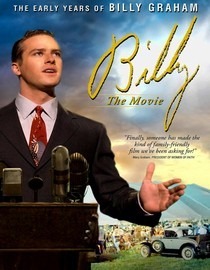 The first movie will be the Billy: The Early Years about the early life of Billy Graham, the great evangelist. Invite friends and family and bring chairs, bug repellent and some snacks.